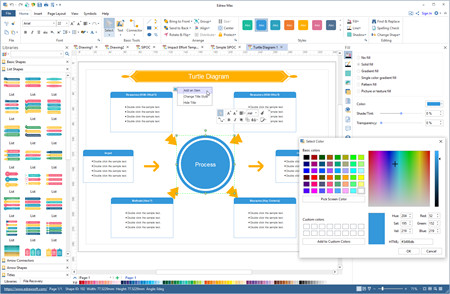 Easy business diagram software allows users to create a large variety of business diagrams including fishbone diagram, business matrix, value stream map, value chain, turtle diagram, SIPOC diagram, and more. 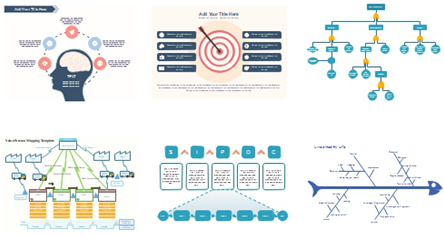 We offer a large variety of business diagram templates for business professionals. The templates are engaging and intuive for business idea visualization, stragetic planning and business report presentation. You can browse the templates by category, choose the best one you like, and customize the content and format with yours. The program has standardized built-in symbols to help users create special kinds of diagrams such as value stream map, fault tree diagram, fishbone diagram, etc. It also contains exquisite designed symbols for presenting matrix, process, cycle, circular and comparison. What's more, you can search from thousands of business clip art to decorate your business diagram and make your design more attractive. Every detail can be personalized according to what you like. For example, you can re-arrange position of every shape and text, change fill and border colors, set transparency and shadow, add hyperlinks and notes, and even draw new shapes with a Pen tool on your own. All these functions let you fully fullfill your demand, and create tailor-made documents at ease. 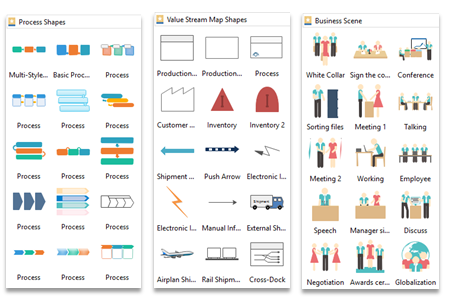 Powerful exportation and sharing abilities allow you to present or share your diagrams easily. 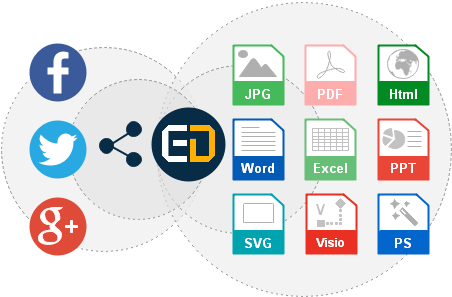 You can choose to turn your Edraw documents to commonly used file formats such as .png, .pdf, .html, .svg, .docx, .pptx, .xlsx, .eps, etc., or generate html links and share through social media platforms. Best Business Diagram Software for All Purposes! 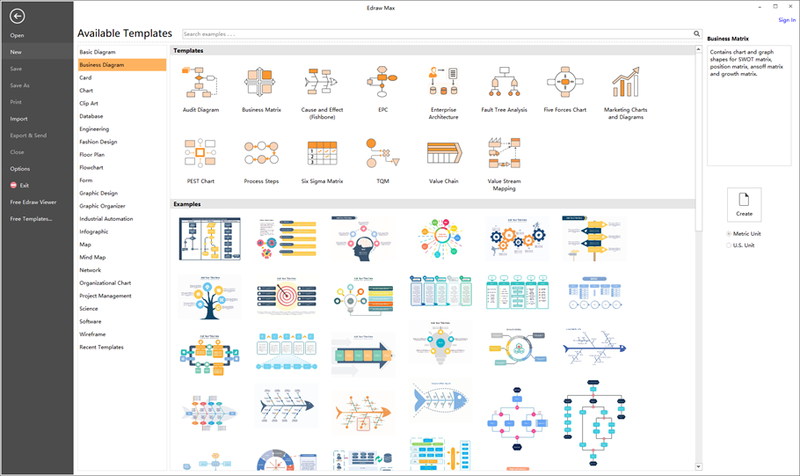 Enjoy an easy and smart way to create business diagrams with Edraw. It allows you to design professional-looking diagrams and export to common used formats with 1 click. Try it now!